Xeriscaping comes from the Greek word xeros which means “dry” and is not the same as "zero-scaping" which is landscaping that consists mostly of hard surfaces, with a few plants as accent features! The Chihuahuan Desert is over 140,000 square miles! It stretches from southern New Mexico to the central state of Zacatecas in Mexico making it the 3rd largest desert in the Western Hemisphere! 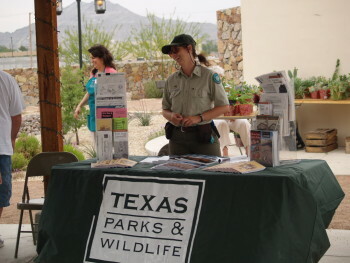 To preserve and protect the Keystone Wetlands and Archaeological site through the creation of a Heritage Park which allows for the study of the archaeological site, the restoration and enhancement of the wetlands, and the education of adults and children of the region, the nation and the world about the Archaic Period civilization and the habitat of the northern Chihuahuan desert. Copyright © 2015 Keystone Heritage Park and El Paso Botanical Gardens. All Rights reserved.